Last year, Up All Night had a great start in the ratings but slipped as the season progressed. Will they keep falling and go low enough to see the show cancelled (like Ava’s show)? We shall see. 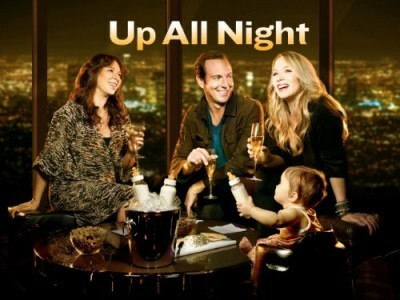 The second season of Up All Night typically airs on Thursday nights on the NBC network and there are 13 16 12 11 episodes. The cast includes Christina Applegate, Will Arnett, Jennifer Hall, Luka Jones, and Maya Rudolph. Below are the TV show’s ratings for the 2012-13 season, the best way to tell if Up All Night is going to be cancelled or renewed for a third season. UPDATE: NBC has cancelled the show. UPDATE: NBC has cut the series order again. UPDATE: NBC has cut the episode order to 12 episodes following Applegate’s departure. 1.1 in the demo (+22% change) with 2.68 million (-7% change). Season averages: 1.24 in the demo with 3.01 million. 0.9 in the demo (-25% change) with 2.87 million (-2% change). Season averages: 1.25 in the demo with 3.04 million. 1.2 in the demo (0% change) with 2.92 million (-2% change). Season averages: 1.29 in the demo with 3.06 million. 1.2 in the demo (-8% change) with 2.97 million (-4% change). Season averages: 1.30 in the demo with 3.08 million. 1.3 in the demo (-7% change) with 3.10 million (-3% change). Season averages: 1.31 in the demo with 3.10 million. UPDATE: NBC has ordered three additional episodes. 1.4 in the demo (+8% change) with 3.21 million (+7% change). Season averages: 1.32 in the demo with 3.10 million. 1.3 in the demo (+18% change) with 2.99 million (+4% change). Season averages: 1.30 in the demo with 3.07 million. 1.1 in the demo (-21% change) with 2.88 million (-8% change). Season averages: 1.30 in the demo with 3.09 million. 1.4 in the demo (0% change) with 3.13 million (-4% change). Season averages: 1.37 in the demo with 3.17 million. 1.4 in the demo (+8% change) with 3.26 million (+5% change). Season averages: 1.35 in the demo with 3.18 million. 1.3 rating in the 18-49 demographic with 3.11 million total viewers. Season averages: 1.30 in the demo with 3.11 million. It wasn’t a positive start of the season for Up All Night. Compared to the series premiere last September, the sitcom was down by a whopping 65% in the demo (vs a 3.7 rating) and down by 72% in total viewers (vs 10.95 million). Compared to the season ender in April, the premiere was down by about 13% in the demo (vs a 1.5 rating) and was flat in viewership (vs 3.12 million). What do you think? Do you like the Up All Night TV series? Do you think it should be cancelled or renewed for a third season? These are funny people give this show another chance. The girls should get back in showbiz. Will Arnet is a funny. Writers need to pickup there game. This show should be so much better with these three funny actors. I love this show. Move it to the 8pm time slot so it’s not opposite Two and a Half Men.